Auritech's revolutionary design ensures optimum attenuation, helping to prevent damaging sound waves from passing around the outside of the filter. 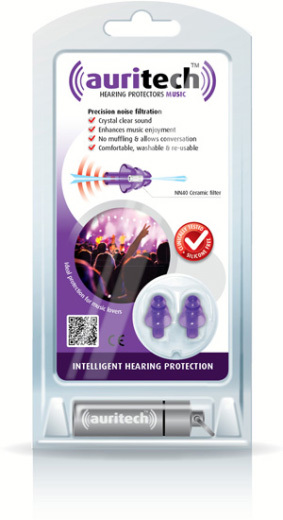 Precision filtration does not muffle or block your ears, so you will not experience an ‘occlusion’ effect common with other hearing protectors. This product cannot be returned after the packaging is opened for hygiene reasons.